Although Alfred loved to travel he didn't have to go far to shoot this photograph. 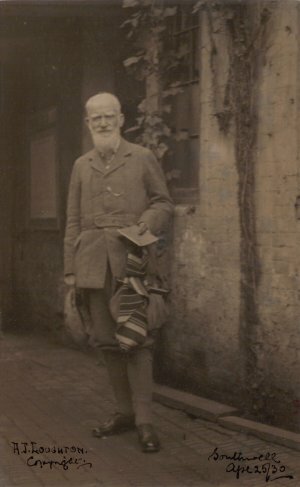 George Bernard Shaw (1856-1950). Irish playwright, Nobel Peace Prize winner, essayist and music critic. Pictured outside the Old Theatre, Southwell. The photograph is dated 25 April 1930.